We meet basically every night and hang out, laugh and dance and have more intimacy and fun than I can begin to explain. These are the best people ever and I love them with all my heart. One of the things that makes it fun though are the themes that evolve. It’s always different and never planned but somehow we always end up with more fun than you’d believe. We laugh, dance, support and encourage each other so much. We have fun with clothes, flirt and talk a mile a minute. We have more inside jokes and are hard to keep up with because we’ve spent so much time together. There is no set theme, it just evolves from what someone is wearing or we’re talking about. It’s an amazing feeling to feel so close so loved and a part of such a neat group that really does feel like family on steroids! Anyway, here are just a few of the fun themes we’ve had recently. Is IMVU a do it yourself adult Disney world? My youngest just turned 5 and we went to Disney World for a week. It was her first time and she and all the kids has a blast. I did too, but I couldn’t help but think of IMVU a little as there are several parallels. (Do I see them everywhere? Maybe I guess) First of all it’s built on imagination and entertainment. I guess its probably not a coincidence that I have a Tinker bell costume, a Minnie mouse, and a Cinderella plus some similar things like Alice in Wonderland and Little Red Riding Hood. But imvu let’s you live out any fantasy. And what better fantasies than our favorite cartoons. Every time the shows at Disney talked about Imagination I couldn’t help but think about IMVU too. What would Disney have done if he started with this? Imvu allows anyone to be creative much more easily and to copy and play with costumes and sets at will. As the technology continues to grow I think it will be seen more and more as a vehicle for people to be and do anything they want. It cost thousands of dollars to take the kids to Disney. So you can only go once or twice but you can go to imvu every day. It costs less than a trip to McDonalds to get started but it can be so much fun, not to mention a little addicting. Some people don’t like role play (RP). 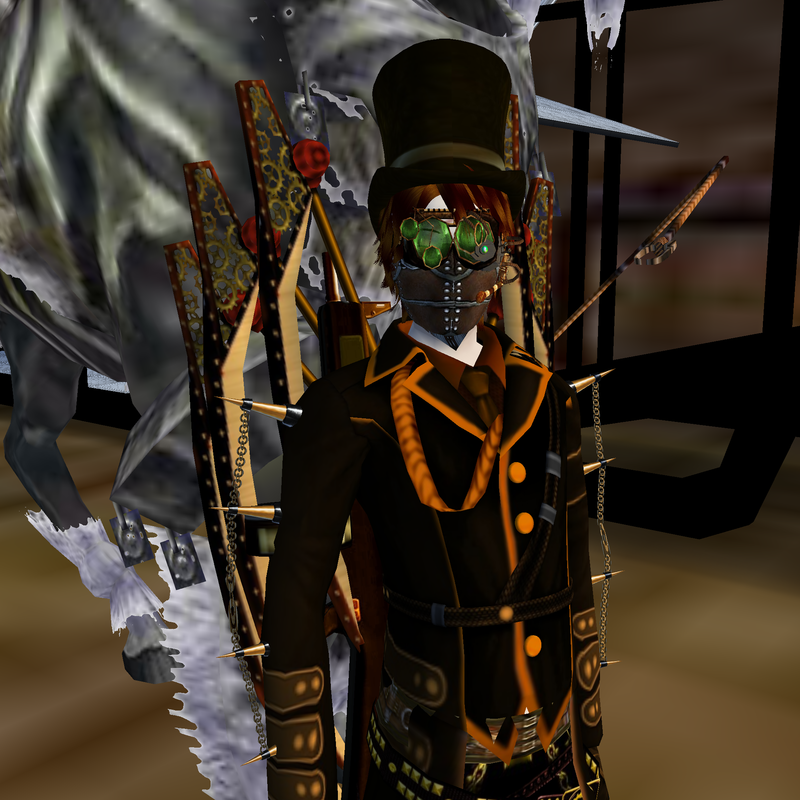 I generally do and actually really like interesting and extreme imvu costumes and things. It’s taken a while to get my head around some of it but now I like to ask people what their favorite or most exciting costume is. But when I met JeanPaulVell (pictured left and right), I realized there is such a thing as too much of a good thing, even in Imvu. I say too much of a good thing because even though I like interesting costumes and role play, if it’s so extreme that it gets in the way or makes you look stupid or crazy it makes it hard for people to believe or even listen. It felt like Role Playing gone bad. Some people watch tv to much, some play nintendo too much and some go overboard and get too crazy with their costumes. It can be easy to over do things in here too. I understand that. But the best approach here as in life, is more of a balanced approach. I ended up blocking him because he was out of control and couldn’t talk much just put on more and more extreme and I realized that this is what the people that say they don’t like role playing hate. It’s so extreme it just turns people off. IMVU is just an adult version of “Dress Up” that you used to play as kids, but on steroids. I’ve found that the more extreme your costume is, the more fun it is. The other night I dressed up as Catwoman and a friend was Batman. That made it a lot of fun! So make a good costume and have fun with your friends or go meet some new friends. You will have fun!